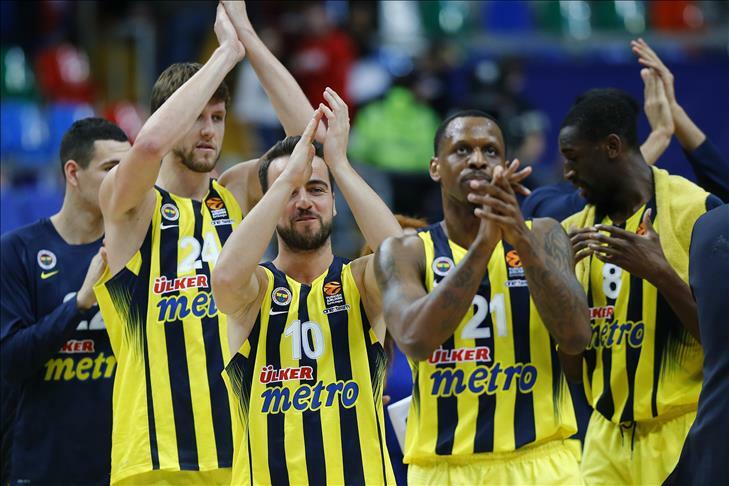 Fenerbahce defeated CSKA Moscow 95-79 in overtime in Euroleague's Round 14 late Friday, in what is considered a rematch of last season’s championship game. Istanbul team's point guard Bobby Dixon (Ali Muhammed) lead his team to victory, scoring 12 of his 25 points in overtime to seal the outcome. Center Ekpe Udoh too stepped in with a 'double-double' racking 17 points and 11 rebounds. CSKA Moscow's floor general Milos Teodosic scored 21 points, grabbed 5 rebounds and dished out 5 assists, but he also committed 9 turnovers, taking the bite out of an otherwise remarkable performance and leaving his team at the receiving end of lucrative fast breaks. The match in Moscow saw the history repeating itself with overtime but this time the Turkish side were triumphant. Last year’s game in Berlin saw CSKA claim their 7th title after a 101-96 win. In other matches of the day, Darussafaka Dogus Istanbul overcame a 19-point deficit and defeated Maccabi FOX Tel Aviv 86-84 at the Israeli team's home turf Volkswagen Arena. Dacka's American point guard Scottie Wilbekin scored a career-high 23 points and Will Clyburn added 20 points and 12 rebounds in the comeback. The Turkish derby in Round 14 witnessed an Anadolu Efes triumph over Galatasaray Odeabank 86-76 in Abdi Ipekci Arena. Efes' Brandon Paul scored a team-high 19 points. Unics Kazan defeated Zalgiris Kaunas 88-80 on the road in another comeback story.